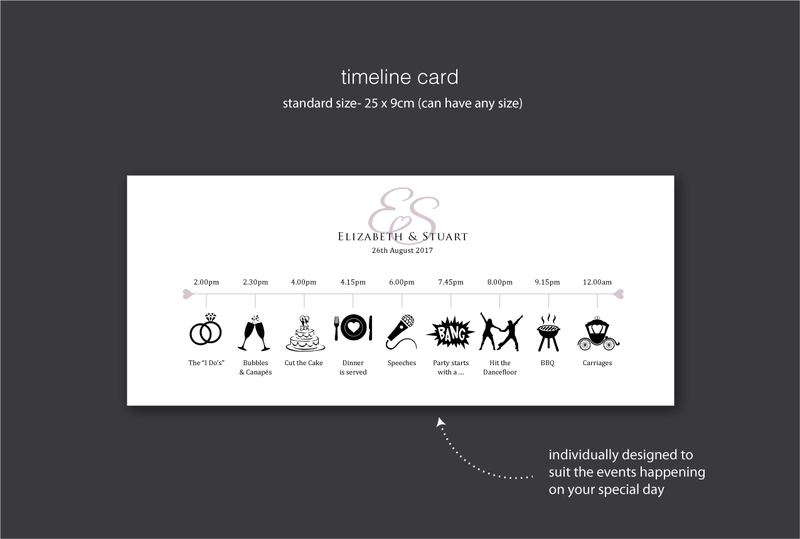 We created a timeline for Elizabeth and Stuart using stylised graphic icons to illustrate to guests ‘what was happening and when’ at their wedding. Stuart said it was perfect for his friends, as it was easy for them to follow even when they were drunk! Just tell us you like the ‘timeline ‘ if you would like to use any design details from this example.